During this time of year we are all looking for something to do indoors. Unless you have a workshop, that limits most of us quite a bit. 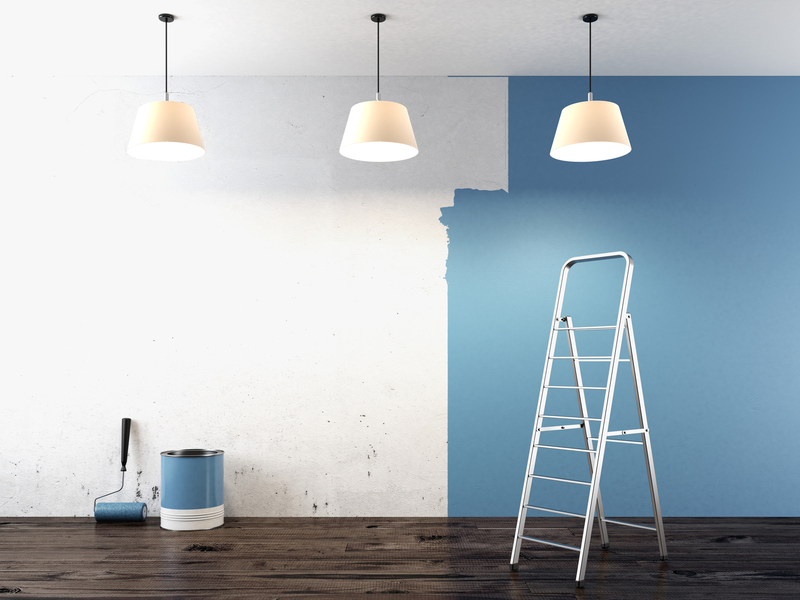 One way to drastically change the look and feel of your home with a relatively minimal amount of work is through paint. With a little bit of instruction and guidance, and a bit of elbow grease, we can all do a good job of painting. I, of course, would like to add my two-cents (sense?) worth. First, use a drop cloth. It may seem like a hassle, but if you spill your paint or let a massive drip go from your brush, you’ll be thankful. Nowadays the plastic disposable ones are good. You can make as big of a mess as you like, and just ball it up and throw it away when you are done. Another hit has to do with trim. Even the most steady handed can slip and hit the rug or carpet. A little secret is to use what I call an edge shield. You can buy an official one, which is a very flat, thin piece of wood or plastic, with a handle. Essentially, you use this tool to hold the carpet back so you can get low on the wall for your edge painting. Knowing that you may not actually do all that much painting, you may consider fashioning your own out of wood or cardboard. Choose your colors carefully. In many paint stores today they have the means, through computers, to show you what your color would look like if it were on a wall. Do you think your neighbor really meant to paint their house that bright of a yellow? Probably not. Consider the light that comes into the room, the activities, and the feeling you want to produce. On the other hand, if your budget has the room, don’t be afraid to play with colors a bit. You can use different shades of the same color to produce a different affect which will highlight key aspects of a room. A bright color on a wall that the sun hits, will reflect better in the room. Remember, since it is inside, if you try it and hate it, you can live with it long enough to save up the funds to change it later, before anyone else sees it. Have fun, and until next time.